On 25 February 2013 Alcatel announced a series of new equipments at the 2013 Mobile World Congress. This included the Alcatel One Touch Scribe Easy, which is an addition to the Scribe family. 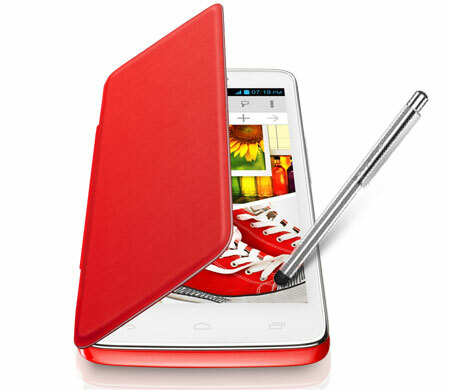 Though the One Touch Scribe Easy is aimed at the phablet market it is a reasonably priced smartphone. This Android smartphone is presented both in a single SIM as well as a dual SIM configuration. It is a big 5 inch screen with WVGA resolution and is designed like a chocolate bar with ridged sides. The volume buttons and SIM card slot are situated on the right top portion of the phone. The power key is placed beside a 3.5 mm jack on the top part of the phone. It is available in red, blue and yellow colors and has dimensions of 143×78.4×9.8 mm (5.63×3.09×0.39 inches). It comes with a MagicFlip cover and a stylus pen. The MagicFlip is a magnetic cover that safeguards the screen, facilitates as a holder for the stylus pen and provides the color for the phone. The stylus can read handwriting and transcribe it into text in most Alcatel applications. It runs of the Jelly Bean (4.1.2) power of the Android operating system. The display screen is a TFT capacitive, multi-touch touchscreen with 800×480 pixels of resolution and a pixel density of 187 parts per inch (ppi). It has the light, proximity, accelerometer and compass sensors. The 5 megapixel camera at the back has LED flash, geo-tagging, autofocus and provides a resolution of 2592х1944 pixels. The camera on the front is a 0.3 megapixels VGA camera to facilitate video conferencing. It also a camcorder which provides a 1280×720 (720p HD) resolution video. It runs on a 2500 mAh battery (lithium-ion) which provides 10 hours of talk time and can be on stand-by for 15 days. On 3G it provides a talk time of 9 hours and can be on stand-by for 15 days. It has a dual-core processor of 1.2 GHz (120 MHz) with 512 MB of RAM. Internal storage capacity is 4 GB and this can be extended to 32 GB with microSDHC and microSD cards. It also has 2.4 GB of maximum user storage and a graphic processor. While the Alcatel smartphone supports wireless charging it can also be charged via USB. Additionally, it has a microUSB v2.0 USB, a microSD slot and a SIM card slot. It has Wi-Fi 802.11 b/g/n and Wi-Fi hotspot WLAN connectivity. Bluetooth connectivity if v4.0 with Advanced Audio distribution (A2DP). USB connectivity via USB2.0 and a microUSB connector. It also has a mass storage device and USB charging features. Connectivity can also be facilitated via tethering and computer and over-the-air (OTA) synchronization. This phone has MP3 ringtones and vibration alert types. It has an earpiece, a loudspeaker and 3.5 mm jack. It has a YouTube player. The music player has album art cover and background playback and can be filtered by album, artist and playlists. The video playback supports H.263, H.264 and MPEG4 formats. Four radio frequency bands of GSM 1900, 1800, 900 and 850 are supported on 2-G Network in both the single SIM and dual SIM model and HSDPA 900 and 2100 are supported on the 3-G Network. Data service is GPRS and EDGE with a browsing speed of “HSDPA 7.2 Mbps” and “HSUPA 5.76 Mbps”. Navigation is available and GPS is provided with A-GPS support. 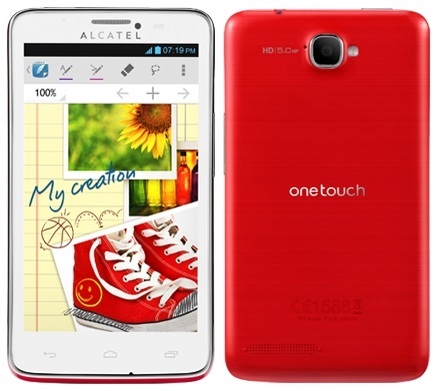 Over all Alcatel’s One Touch Scribe Easy Android Smartphone is a phablet without much exclusive features. While it is already purchasable in China, under the brand name, TCL, it will be made available in Russia in March and other markets will soon follow.